Apologetics Press - Does the Hebrew Word Yōm Endorse an Old Earth? The Bible never dates the creation of the world explicitly. But the Bible does provide a straightforward account of the first week of universal history. There is no obvious implication that the days are really billions of years, or that the first week is a quasi-mythological construct. Yet old-Earth creationists who wish to utilize the Bible need something in Genesis 1 to divinely approve their position. In this quest for evidence, many have fixated on the Hebrew term for “day” (yōm). Understanding each day to be an “epoch” of time, the word yōm has been required to carry the weight of old-Earth creationism and evolution—a weight it is incapable of bearing. With little attention to context, to other markers of time in Genesis 1, and to common linguistic sense, many have blindly accepted that the Bible endorses old-Earth creationism. It is not the place here to discuss the larger question of the age of the Earth. However, I hope to establish in this article that the Hebrew word yōm cannot be used as ammunition for old-Earth creationism. 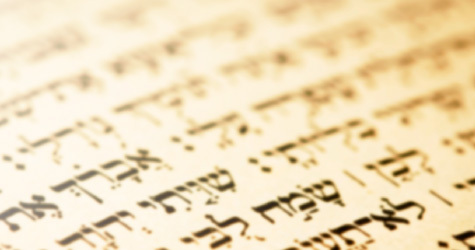 Many researchers have noted that the term yōm is not always literal in the Hebrew Bible. This is true. The term can be used both in the singular and in the plural simply to mean “time” in a generic sense. In the King James and New King James versions of Genesis 39:11, the Hebrew is translated, “It came to pass about this time.” The other major versions, however, more literally render the Hebrew word yōm, “Now it happened one day” (e.g., NASB). Is the KJV wrong? No. It simply rendered the term “day” as “time,” which, although not the most literal translation, is certainly acceptable in the context. The same can be observed for the plural form “days” (yāmîm) in the Bible. Scripture informs us, “And Isaac dug again the wells of water which they had dug in the days [yāmîm] of Abraham his father” (Genesis 26:18). The passage is obviously not referring to the specific number of 24-hour periods of time that Abraham lived. We might differently translate “in the time of Abraham” to capture the essential meaning. The book of Joshua is summarized similarly: “Israel served the Lord all the days of Joshua, and all the days of the elders who outlived Joshua” (Joshua 24:31). No literal number of days is intended, although a limited “period” of time is implied. We should note here that the non-literal use of the word “day” has a perfect parallel in English. We often speak of “days gone by,” meaning not, of course, the consecutive 24-hour periods of time that have elapsed, but “times gone by.” Likewise, one might look forward to “better days,” again referring to a nonliteral period of time in the future. The generic use of the word “day” in English and Hebrew has led some to believe that the same term in Genesis 1 is also generic, and thus need not be taken as a literal, 24-hour period of time. The generic meaning of the word “day,” however, is entirely irrelevant for Genesis 1 for reasons we will consider below. But at this juncture let us emphasize that the Creation account does use the term yōm in a non-literal fashion. The work of the first week is summarized as follows: “This isthe history of the heavens and the earth when they were created, in the day [yōm] that the Lord God made the earth and the heaven” (Genesis 2:4, NKJV). If one forces this passage into literalism, then God did not create the world in six days, but in one day! Some ancient readers of Genesis did, in fact, derive from this verse that the Creation took place in one day, and Genesis 1 therefore must be a non-literal account (e.g., Philo of Alexandria). Knowing little to no Hebrew, and not recognizing the non-literal use of the word “day,” these thinkers drew the wrong conclusions. The term yōm in Genesis 2:4 is not to be taken in the sense of a literal, 24-hour period of time. The same can be said of God’s warning about the tree in Genesis 2:17: “for in the day [yōm] that you eat of it you shall surely die.” The term is again referring generically to a “time” of indeterminable length and not to a specific 24-hour “day.” Now the big question: Is this non-literal usage relevant for Genesis 1? Words mean nothing outside of contexts. In other words, reading a sentence is similar to piecing together a puzzle. The picture of the whole emerges only after the individual pieces are put in their place. Such is the case with the term yōm. It can be literal or non-literal, depending on the context. But a distinctive syntactical feature of Genesis 1 ought to be observed. An adjective accompanies every occurrence of yōm in Genesis 1, a fact that fundamentally limits its meaning. Virtually every language uses adjectives to modify a noun’s scope of reference. I may declare, “Women are wise!” Is this a general truth or an absolute truth? The hearer doesn’t know. It is a generic and ambiguous statement. But if I add the adjective, “All women are wise!” it is an absolute truth applicable to all women. If I say, “Some women are wise!” then the truth of the first statement is limited. In the Hebrew language, as in English, numbers are adjectives. Since every time the word “day” occurs in Genesis 1, a numerical adjective accompanies it, the generic application of the term “day” that we have observed does not apply at all. The scope of reference is limited. Allow me to illustrate. If I say, “These days have gone so quickly,” you do not know how much time has elapsed. All you know is that more than one day has gone by. But if I declare, “These five days have gone so quickly,” you know exactly how many days have passed. The latter example is a much better illustration of the term “day” in Genesis 1. When the Bible declares “one day,” “a second day,” “a third day,” and so on (Genesis 1:5,8,13), the numerical adjective naturally limits the scope of reference so that the Hebrew word “day” cannot be taken in the generic sense of “one block of time,” “a second block of time,” and so on. The term must be used in accord with the numerical adjective that accompanies it. Its scope of reference is limited. Moses expected the original audience of the Pentateuch to understand his intention of a literal, 24-hour day in the Creation account. In commanding the observance of the Sabbath day he wrote, “For in six days the Lord made the heavens and the earth, the sea, and all that is in them, and rested the seventh day. Therefore the Lord blessed the Sabbath day and hallowed it” (Exodus 20:11). Israel was to imitate God’s example of working for six literal days, and resting on the seventh. If Moses’ audience had understood the days of Genesis 1 as hundreds, thousands, or billions of years, as many modern interpreters wish to do, they could have lived their entire lives without ever observing a single Sabbath! This would not be the intention of biblical law. Violating just one Sabbath required execution (Numbers 15:32-36). Clearly the readers of Genesis were to understand a literal Creation week. It is conveniently selective for those who wish to age the Earth from Genesis 1 to focus exclusively on the Hebrew word for “day.” There are, in fact, other references to time in the same paragraphs in which the term “day” occurs. These terms help further to limit and define the specific meaning of the word yōm in the context. After each day’s creative activities, the Bible utilizes the same formula: “And there was evening and there was morning” (Genesis 1:5,8,13,19,23,31). While it is true that the Hebrew term “day” can be used in a nonliteral sense in other contexts, the terms “evening” (‘erev) and “morning” (bōqer) are always used in a literal sense. The former occurs 134 times in the Old Testament and the latter around 200 times. So our representative sampling is high enough to draw absolute conclusions about what these words mean. The words ‘erev and bōqer are used to specify holidays on the Israelite calendar (Exodus 12:18), to mark the exact span of one’s ceremonial uncleanness (Leviticus 11:31), to regulate the timing of the required sacrifices (Numbers 28:23), and to mark the exact time of historical events (Nehemiah 8:3). Therefore, the Bible counts on the literal understanding of the terms “evening” and “morning,” for the Israelites’ very religious and secular calendar depends on it. There is to my knowledge no place in the Bible in which the terms “evening and morning” refer to a broad scope of time. They are always literal, both when they occur separate from one another, and when they occur together; both when they are singular and when they are plural. When these terms occur with the word yōm, the obvious conclusion is that a regular, 24-hour day is in view (Leviticus 6:13; Numbers 19:19; Deuteronomy 16:14). Even if one insists on explaining the term yōm in a non-literal fashion, this explanation does not permit him to force non-literal applications of other time references in the same context. How long was the morning of day 1 anyway? The linguistic acrobatics applied to Genesis 1 are never applied consistently to other contexts of the Old Testament. Why force words to fit a preconceived theory of truth? Why not allow them to speak clearly from their contexts? In language, words are bound to their contexts. The meaning of biblical words is determined by their use in the sentence, paragraph, chapter, and book in which they occur. The term yōm occurs in many contexts, both in the singular and in the plural, in a non-literal fashion. In the context of Genesis 1, however, there can be little doubt that the Hebrew noun yōm, accompanied by numerical adjectives and limited by further references to time, should be understood literally. So those who wish to defend old-Earth creationism must look elsewhere to support their doctrine.